Since the opening of Tropicana Field, it has been an iconic part of the landscape of this unique domed stadium. It’s dark tinted windows concealing plenty of zealous Rays and visiting fans perched just above dead Centerfield. It was one of the only a few restaurants options right off the playing field that I know of in Major League Baseball that seems to be so perfectly placed for dining fans to get that “up close and personal feel”, almost like they are just hovering above Tampa Bay Rays CF B J Upton’s left shoulder. 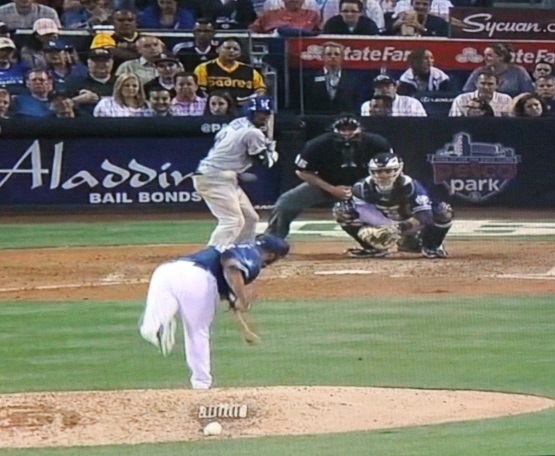 I know the San Diego Padres havea their own Batter’s Eye Pavilion, but it is not a sit-down restaurant concept. Sure every MLB stadium has it’s own special type of dining experience for game day fans, but none were perched within feet of the playing surface, or who give you a chance to hear the bang of a long Home Run bouncing on or down its roof during a MLB game. 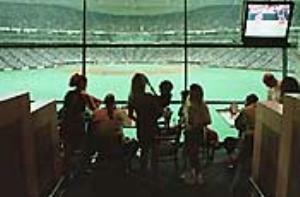 I still remember the first time I ate in the restaurant during Batting Practice and watched the action from above the playing surface. 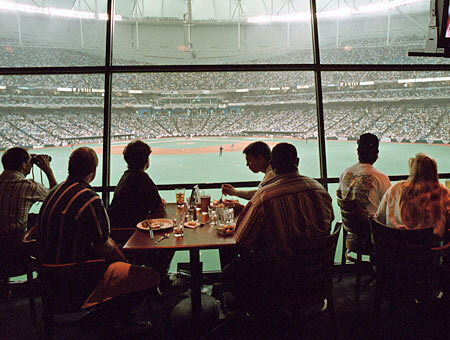 The Batter’s Eye Restaurant has been for years one of the most unique dining experiences inside Tropicana Field where you could dine before, or during a Rays game in the luxurious setting of a tasty and gourmet ballpark inspired menu. The restaurant was a famous stop for Rays fans before the games also for their ala carte menu and their free Wine Tasting gatherings during 2010. The Rays and their concessionaire Centerplate tried during 2010 to revive the old dining glory by offering unique Diamond and Platinum game buffets when the concession lines used to overflow with hungry fans. They event tried to get the casual Friday night fans into the CF icon with $ 19 buffets with everything a ballpark menu should be. And Saturday nights the Restaurant offered a dining experience at $34 dollars per person which bordered on a gastronomical ballpark menagerie. Heck their Sunday brunch buffet (my favorite) even offered made to order omelette’s, entrees, salads great pasties at a affordable $26 a head. It was one of the great meet and greet places before the Sunday matinée games with seating available the moment the gates opened at 11 am. But all that is going into the Rays history book this April. A big change is about to happen to that huge Batting Practice target as the Rays open their 2011 season. Gone will be some of the posh and exclusive dining atmosphere as the Rays and Centerplate have remodeled the location and turned it into the Everglades BBQ Steakhouse. The new Rays BBQ experience will again offer an external simplified Everglades BBQ menu that can be purchased ala carte at select concession stands in the First Base Food Court and the Right Field Street area for an BBQ-insipred moments for attendees of Rays games. But you can bet this step back towards a more casual “family-style” dining experience will be an instant hit with the Rays Republic as the menu will feature such Southern classics as pork, ribs, chicken and wings smoked fresh daily on site at Tropicana Field by the Rays/Centerplate culinary team. 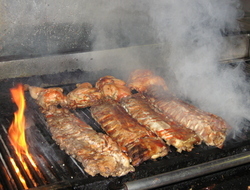 There will also be barbecue favorites like corn on the cob, potato wedges and a few unique dessert options. The Batter’s Eye held it’s last “official” function during the Rays Fan Fest as the site of Joe Maddon’s “Thanksmas” celebration and Q&A session. It is a bit sad to see the old concept go, but it might have outlived its Rays usefulness. In its place will be a vibrant, new and exciting concept that will offer its food creation both inside and outside the restaurant for Rays fans to enjoy. I am actually looking forward to the new BBQ concept that will bring back a few of the great food items lost when the American Plate and Chef Enzo did not return to bring buckets of BBQ ribs and Southern inspired creations to my taste buds on a nightly basis. Got to give the Rays and Centerplate a huge round of applause for again providing that missing Southern food element back into my game day experience. 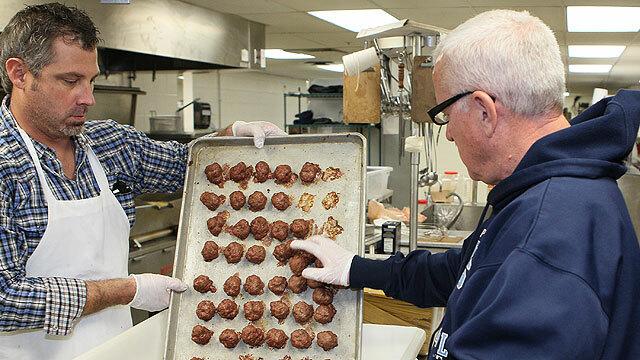 Hopefully it will explode into one of those “must have” food selections for visitors and fans to the Trop that will entice, entertain and become a new Rays ballpark tradition…just like those old Batter’s Eye Sunday brunch buffets…. only this time it will be finger licking good. For the next few days people all over the country, including sportswriters will be writing about their favorite Rickey Henderson moments either in stories or in his wild quotes. Henderson along with former Red Sox Jim Rice were selected today for induction into the Baseball Hall of Fame in Cooperstown, New York. Now I will not be there, but you can bet I will as close to a television set as possible during the Induction Ceremonies to hear the speech that might either shock or amuse baseball for the rest of the year. the biggest surprise to me is the fact that he did not garner more than 94.8 percent of the vote. Now I did not think he was going to challenge Tom Seavers 98.8 percent, but thought he might hit the 96 plateau without a hitch. So why did some people not put him on their ballot? 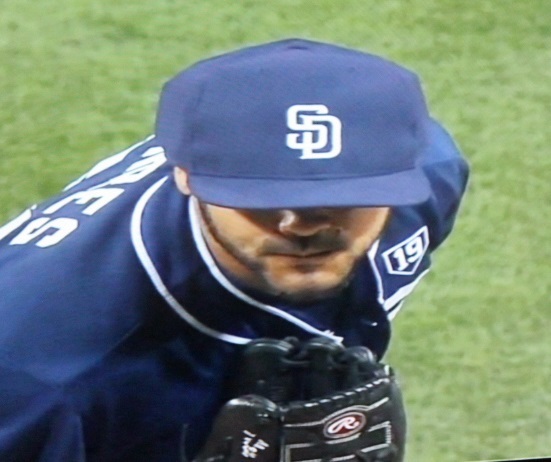 didn’t this guy change the way we look at fast hitters and basestealers in the MLB? Come on people the guy who is the career leader in runs scored and stolen bases by a huge margin is nothing more than a scrub to some BBWAA voters. Maybe some of the voices are right, maybe we need to tweak this system a bit and weed out some of the naysayers who look more at off the field actions than on the highlights accomplished on the field. Is there any argument that Henderson because of his power and ability to get on base ,could change a games complexity with a single hit or a walk? 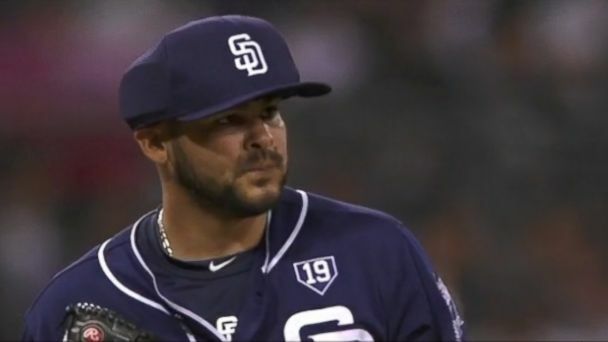 Do you think that this one guy could be responsible for the induction of speed demons in the lead-off spot and not buried down in the 7,8, or 9 slots in a lineup? And do you think that Henderson might have viewed himself like a cartoon character to actually not be bothered by the critics and naysayers who thought he was a destroyer of the game? The answer to all three questions is a huge YES. Henderson did change a pitchers’ mind when he was on base. It brought into the pitchers’ mind that he could steal a base on any pitch. I did not matter if it was a 100 mph Fastball, change-up, curve, it made no difference to Henderson, any pitch was a good pitch to steal a base. His power made you respect his plate discipline enough to not try and finesse a pitch up there, or you would be getting a fresh ball from the umpire. Henderson went to the plate 10,961 times in his career. During his career from 1979 to 2003, Henderson had 3,055 hits, which in its own right should be a good consideration for the Hall of Fame. He hit 510 doubles and 66 triples. I think those numbers might have been a lot higher if he did not have a great thrill in running and stealing bases on any pitcher that took the mound. I could see him pull up at first or second base just so he could play that cat and mouse game with a pitcher then steal the base on him and give him that grin from the bag. In his career he got 4,588 total bases. He stole a grand total of 1,406 bases, and only got caught 335 times during his career. That seems like a low mark to be caught stealing, but Henderson made the act of stealing a base into an art form during his career. Think of the totals he would have left with if he had been active in the MLB, even at his advanced age. From 2000 on, he only appeared in over 100 games with one club. While he was with the San Diego Padres in 2000, he appeared in 123 and still stole 25 bases. But during his last year in the MLB, Henderson was mostly a bench player for the Los Angeles Dodgers and only made it into the game 30 times during the season. He did however steal 3 bases that year in his limited role. But have to remember, not just did he have a few gray hairs by then, but defenses were setting up for him knowing he was in the game to get into scoring position and maybe score the winning run for his team. I truly feel that the arrogance of stealing a base, along with is knack for sliding around the tags is the reason players like current Tampa Bay Rays speed demons Carl Crawford owe their careers to Henderson. Before Henderson made it an offensive weapon to truly steal a base with gusto, Lou Brock was the only other base stealer to command as much attention when on base. But Henderson did something none of the other base stealers ever did, he tried to bait pitchers into balks and mis-throws to the plate based on his ability to steal and to take an edge off the team’s pitching game. Henderson changed the lead-off position. Here was a guy who had 2,190 base on balls during his career, and could bring a new dimension to the game with four pitched balls. Every walk he was ever issued looked more like a doubler to him because he could steal a base and get into scoring position at any moment. Henderson also could hit the long ball. Lost in a lot of the translation into his base stealing is the fact he did hit 297 home runs in his career, mostly from the lead-off position. So as you can see, New York Met’s shortstop, Jose Reyes also owes a big round of applause to Henderson in making it fashionable to get dirty stealing bases in the MLB. Now for why Henderson always talked about himself in the third-person. 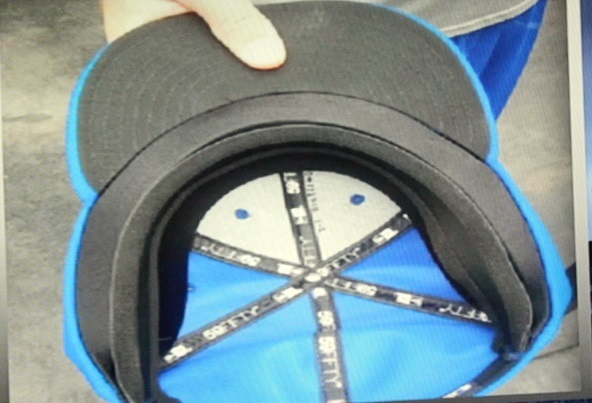 Some people have commented that it was a defense mechanism devised by someone for Henderson because it made his character on the field different than the man in the clubhouse after the game. It left him into a secondary world to rant, rave and just be “Rickey” while he wore the team’s colors. This might or might not be true, but if you really think about the image of being able to put your work suit on and take the punishments and the abuse while you are working, then shed those insults, opinions and wild lies when you toss them in the clothes hamper to be washed, it make a bit of sense. Who among us would not relish a secondary personality or a persona that we could use at work and toss aside and forget the troubles and strife in a moments notice. This might not be the true reason for his third-person antics, but it does make good conversation for the next few months. But the antics and the stories concerning Henderson are many and both base in legend and in folly. But one of the best ones I ever heard was from a Oakland area sports story that told the story about the Oakland A’s front office finding a financial mistake in their bookkeeping. It was showing that the team had a million dollars more than it was suppose to have in it’s coffers. After a series of check and double checks, it was concluded that they had only one conclusion to this error. A member of the Athletics management went down into the locker room and found Henderson and asked what he did with the $ 1 million dollar check the team had issued to him. Henderson remarked that he put the check under glass. Never cashed it, never even thought of the down the road consequences of the actions, just did what “Rickey” would do. I have a story of my own about Henderson based in 1984. I was a newly drafted snot nosed kid who came out to see a friend, Scott Hemond who was catching for the Oakland A’s at the time. I was in the locker room after a game and saw Henderson right before he left for the night. He was dressed to the nines, and I strolled up and introduced myself as a friend of Hemond’s and just wanted to tell him what a joy it was to watch him play baseball. He remarked how ” Rickey was happy he liked his personal style of play, but that Rickey did not like to associate with friends of catchers’.” It took me a second before I started to laugh and then remarked that was why I like “Ricky”, he was wihtout a doubt not predictable or even in the same league as the rest of us. I saw him a few hours later when we went out to dinner, and Henderson came over and finally shook my hand and sat for a few moments talking to Hemond and some other players’ at the table. He finally got up and remarked to me, ” I hear you are fast?” I told him I could hold my own between the hash marks and on a 440 yard track. And then Henderson remarked, ” Guess you never tried to push the bases around.” I only remarked that I played baseball from about 6 years old to college, but was never a demon on the base paths like him. Henderson in perfect “Rickey” form just muttered, ” There is only one Rickey, and he is leaving the building.” I let out a huge belly laugh and pointed to him acknowledging his comment. He was right, there is only one “Rickey.” No matter if you loved the way he played, or hated him for the flamboyant personality. The ability of this guy to get into a team’s head mentally made for a really exclusive career. Thank goodness he is not the only one getting inducted on that Summer day. After his speech we will all need time to collect ourselves and get serious again. I do not know who will introduce him at the podium, but maybe he should research his stolen bases and find the pitcher he stole the most bases off of in his career. The moment that guy steps to the mic, I will be glued to the television set watching him. Not since Wade Boggs and Cal Ripken Jr gave their speeches when inducted have I waited for such a moment to happen. Those two men gave memorable speeches for different reasons. But you know that the world, and the entire baseball community are awaiting the final appearance of “Rickey” in all his glory and gruff. It will be an historical event that you do not want to miss. Got to remember to TIVO that introduction. One of the hardest jobs in all of baseball is not the Managers’ position, but the title of General Manager. I think that more GM’s have taken a bullet for the failures of their teams than any of baseball field mangers. It is said that the stream of blood runs downhill after a slaughter and usually that blood starts at the scalp of the GM, who is the first sacrificial lamb for the public and the media. The position has a bit of give and take from the bottom to the top, but for all intentions, can be the lonliest post when things are going bad for your team . You have to dictate and slice through all of the BS coming out of the clubhouse and the publics mouths, plus select the most rightious information and sage advice from scouting to make a calculated and educated gamble on a player or a team situation. For Rays General Manager aka Boy Wonder of 1 Tropicana Drive, Andrew Friedman, so far in his tenure in the position, the scale has been weighed heavily in his favor. Considering that less than 3 years ago he was not even involved with the Tampa Bay Rays, and his name was no more known in public circles than my name. But in three years with help from wily old veteran G.M. Gary “Obi Wan” Hunsicker he has built upon a solid core of players and eager staff members to reign alone on top of the G.M. mountaintop. Decision after decision went wrong for him in the beginning. He stayed silent and towed the line on trade talks that could have meant the world to the team, and moved on ones that might have dealt them a death blow in the past.pile But with a few years of plus and minues calculations, the Rays G.M. has eliminated the risk management portion of his position and is seeing only sunny skies and rainbows right now. Well, on today’s front page, MLBlogs asked a simple question that will either rock the nether worlds or simply go down as more Internet babble and ramblings by people who love to play God behind a keyboard. I am one of those ramblers, but I can atest to countless hours of thinking about this ( 2 hours) and entered debate after debate during the morning to strengthen my fortitude and latitude to accept this challenge. I am to become the G.M. 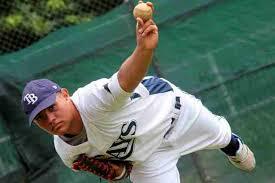 of the American League champions for a short time and plot the course for the Rays cruiseliner. Hopefully I will not need a toll for the river Styx after I am done with my opinions and raw mental brainfarts. But in the office of the G.M., even ordering coffee can be met with critcism and second-guessing. I am not sure if I want to play a higher power, but I would like a crack at a few situations I would consider if I was the Rays GM for the next few days in Las Vegas. 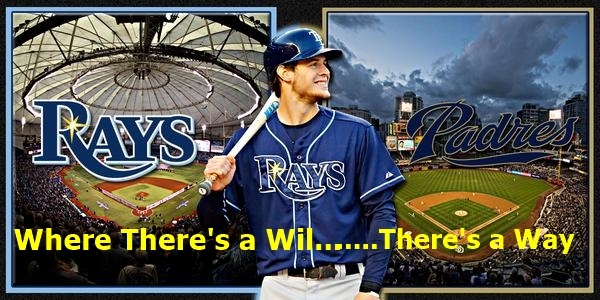 With that in mind, I am going to put myself in WWAD ( What Would Andrew Do ) mode and trya and make a few educated guesses as to the betterment of the Rays roster and their minor league system. I even have a play that should be added to their 40-man roster before Friday, or lose him to another team is a sure bet. So, here we go, I am acting GM of the Tampa Bay Rays for about an hour. My first round of business will be to get minor leaguer Rhyne Hughes on the 40-man roster. 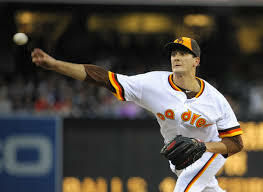 Hughes had a monster Arizona Fall League and might be going the route that current Rays pitcher James Shields took a few years back. Hughes made the All- AFL selection squad and hit the cover off the ball in Arizona. He has been at the Double-A level in 2008, but might start there then move up to Triple-A depending on the Bulls need for a power first baseman. But getting this kid hidden on the 40-man roster is a vital cog that has to be done ASAP. The Rays took care of a roster spot on Monday evening by assigning pitcher Chad Orvella, who is coming off of shoulder surgery outright to the Durham Bulls. The Rays might not have as many holes as usual this coming year, which actually plays well into their hands during negotiations with players. 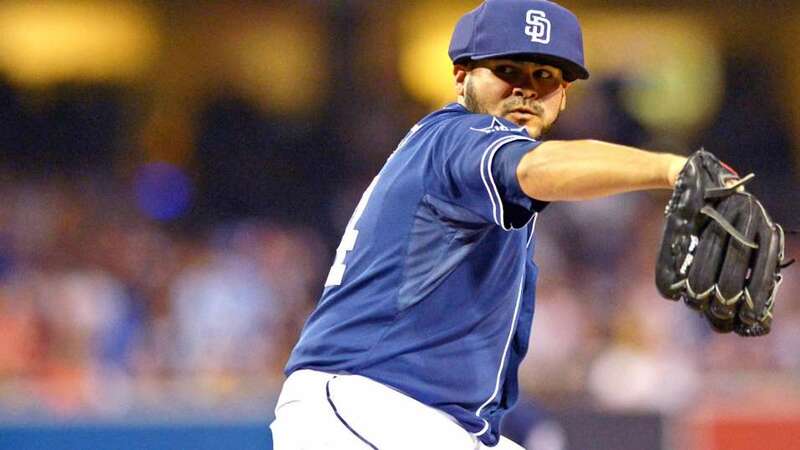 There are several key guys up for arbitration like Dioner Navarro, Jason Bartlett, Edwin Jackson and Jonny Gomes. In the next several weeks a few of those guys might not be here by trade or being released by the team. I would put more money on the trade situation than losing all value for the players. 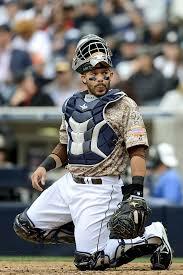 Even a guy like Gomes, who had a miserible 2008, has value to a team looking for a 4th outfielder or even a DH for hire. I am going to cut to the chase in this blog and attack the two main needs for the team in 2009. 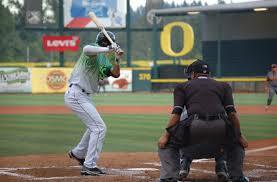 The right-field slot and the DH position are highly publicized and ‘must need’ positions on the team. I have a few ideas about each and will explore them in two ways. First to list the free agent solutions, and then by trade. First off, let’s tackle the need for a DH or bench player for the Rays via the free agent market. With the recent lunch date with Milton Bradley going so well for the Rays, the only thing standing in the way besides a contract is if the guy is worth losing your first round pick for him. With Bradley being considered a top tier free agent, the team would have to forfeit a draft pick to secure his signing. Another plus about Bradley that the Rays can build on is his ability to protect hitters in front of him bcause of his .324 average last season. 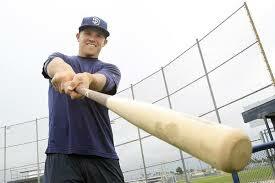 To add onto that is the fact he also hit 22 home runs and struck out only 112 times last season. He is also an on-base guy, posting .439 On-Base Percentage, largely because of his 80 walks. His sttitude and personality quirks have also mellowed with age and he has become a calm force in the locker room. He might not be Cliff Floyd, but the guy commands respect and leads by example. The second alternative to a DH via the free agent wire is also a very attractive one for the Rays. Mostly because this player can still contribute in the field at some lengths and could be a valuable asset to the club. Also considering some of the milestones he is approaching, he could be a great PR tool for the team to attract fans. 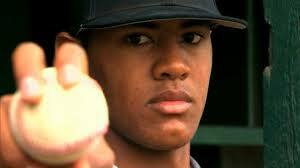 If you have no figured it out yet, it is Ken Griffey Junior. I have been a huge Griffey fans since his Mariner days and would consider him in a second for the DH position. Junior might have slipped a bit in production in the last few seasons, but he also has been playing the field almost every day while in the National League, and took over center for the Chicago White Sox after being traded at the trading deadline in 2008. If he was to be a DH, with an occasional stroll into the outfield, he could protect his knees and still hit daily for the team. Griffey hit only a combined .248 between both leagues in 2008, but his low amount of strikeouts ( 25 ) shows that the plate discipline is still there and he can rebound off a bad 2008. The Rays might be able to get Griffey at a Florida discount becuase of his home being in Orlando, but still might command about $ 4-6 million a year. Griffeys’ 2008 salary was set at about $ 8.2 million, which would put him out of Tampa Bay puse strings if he commands the same salary in 2009. Bradley made about $ 5.25 million last season. If Bradley wants to play on a competitive team for 2009, he also might be into giving the Rays a discount on base salary with some incentive bonuses tied to production. I would think a $ 4 million dollar salary with up to 2 million in incentives might do the trick for Bradley. Let’s now consider the right-field slot. I honestly feel that the team can find a suitable player who is right-handed without breaking the bank in 2009. Alot of names have been tossed around lately, but there is aslo one that has not come to the surface yet in refference to the Rays. Brad Wilkerson has been playing right-field in the majors for a long time. He started 2008 with the Seattle Mariners, then moved onto the Toronto Blue Jays and provided great relief and power from the right-side of the plate. Most of baseball has not even considered him after a sub-par 2008 while both rehabbing and trying to fit into a tight outfield situation in Toronto. 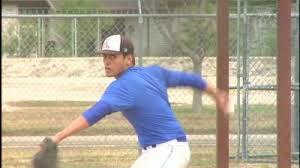 But he might be a low cost alternative to the high priced guys seeking positions through the MLB. His sub .250 average for 2008 was mostly covered by his injury that he tried to play through before going down and finally getting healthy. 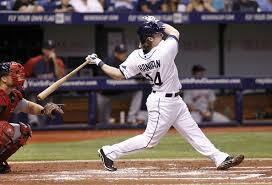 This is the one position on the Rays that I think they can make a great trade that can help both ballclubs. 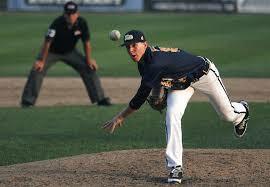 In the past, the Rays have been linked as the third team with the Chicago Cubs for Jake Peavy. 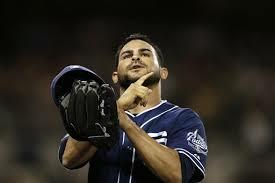 But the real factor is that they do not need the Cubs to make a trade with San Diego. The Padres are seeking a shortstopn and a pitcher to replace two players currently either treaded or deep into discussion to part the Padres. Tampa Bay was eager to pout in a claim for Brian Giles on the waiver wire in 2008, but got one-upped by the Boston Red Sox. The Sox blocked the attempt to claim Giles to keep him off the Rays roster and maybe get him for themselves. Giles did not want to go to the Red Sox, but might be open to a Rays attempt at a trade because they have a true opening for him in right-field. One problem with this trade off the bat is the amount of salary owed to Giles in 2009. The Rays might not be willing to take on the entire amount of the 2009 salary and would want to offset some of it by having the Padres eat a bit of the contract. 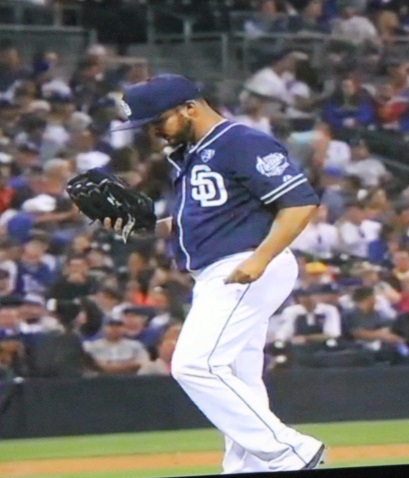 The players’ that the Padres could get for Giles could be a nice smorgasboard of up-and-coming pitchers and a infielder. The Rays have a abundance of pitchers who are log-jammed at the minor league level and might be willing to part with a MLB level pitcher and a Triple-A starter. The pitchers in question could range from Edwin Jackson and Jason Hammel to Jeff Niemann and Mitch Talbot. All have been at the major league level and have proven to be quality pitchers. The Rays also have a few infielders who could be packaged in the deal, which includes Reid Brignac, Elliott Johnson, who have limited major league experience to Ben Zobrist or even Jason Bartlett who have MLB experience. Zobrist is actually a player who could play any role for the Padres and is still under contract for 2009. Bartlett is arbitration-eligible, but might only cost about $ 2 million a year fater the hearing. Giles is my trade target for the team in 2009. I think if the team packaged Jeff Neimann, Jason Bartlett and maybe another reliever, Dale Thayer or a Double-A player, plus take on $ 2 million dollars of Giles salary, we could have a great deal for both teams. But that is just my opinion here. 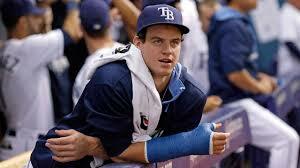 So here we go, I have taken on two trouble spots for the Rays in 2009 and tackled them my way. How do I think I did as GM for the Day for the Rays? That depends on if I can get these guys signed sealed and delivered for Rays Manager Joe Maddon and the boys by Febuary 2009.